~The 25 Acre Ranch~ is a Year Round Vacation Rental Property in SE Arizona* Spacious 1700 SQ FT home w/ 2 Bedroom, 2 Full Bath, Den, Country Kitchen, Laundry Room and 3 decks to enjoy with spectacular 360 Mt Views & desert vistas. Stargazing Observatory with $125 added fee. No telescope or equipment/ guests brings their own to Ranch. ~~SEASONAL RATES~WEEK $700~ $735, Nightly w/ 2 NT min booked $135, Month $2450~ $2550 with no sales tax on month stays. Book early to see the famous Sandhill Crane Winter Migration (Oct~ April). Hummingbird Ranch Vacation House is located in SE Arizona and the Ranch is a Stunning & Spectacular Mountain & Desert Vista Getaway ~ Come get away from it all at our wonderful relaxing Ranch. Non-stop fun to be had by all. 14 local wineries, 3 Ghost Towns and 2 National Parks close by to enjoy~ Tons of local SE Arizona history to discover including the Butterfield Stage Coach Ruins. See where the Geronimo & Cochise once lived and where the Apache Wars took place. Both Tombstone & Bisbee are a short drive. We have the MOUNTAIN VIEWS & DESERT VISTAS to WOW you! You can watch the mountains change color throughout the day & evening. Our “Sunrises & Sunsets” are just breath-taking to witness in person. You can watch our extra dark & starry night sky’s from the comfort of your bed, as you fall to sleep at night. Listen to our Owls and Coyote’s signing in the evening. The desert is calling Come see our famous Winter Birding Migration 10’s of thousand Sandhill Cranes come to our Sulphur Springs Valley. ~~DRIVING DIRECTIONS from the Tucson International Airport ~1 Hour 20 Mins southeast of the Tucson Airport, southeast of Benson Arizona. Easy Drive from I-10 & Rt 191. Just 10 mins to the town of Sunsites with a Golf & Country Club, Gas Station, Restaurants, Post Office and Stores to enjoy. Our Guests never want to leave Hummingbird Ranch! We have 3 Ghost Towns & tons of local history. Fisherman will enjoy our 3 lakes & 1 river that flows backward into the United States, The San Pedro River. Desert Ranch Stays Offered:~~Nightly w/ 2 Nt min booked, 1 Week, 1 Month and longer. Writers & Photographers Paradise.~~ **Last minute bookings can be accommodated if dates are open** Please call us anytime, with any questions that you may have about Hummingbird Ranch Vacation House, in Pearce Arizona. ~~Welcome to Hummingbird Ranch Vacation House. Spectacular & Stunning 360 mountain views and desert vistas awaits to WOW YOU! Hummingbird Ranch is a Year Round Vacation Ranch Rental~ in the beautiful Sulphur Springs Valley of SE Arizona~~ Easy drive from the Tucson Airport ~ 1 hour 20 mins to the Ranch and desert paradise awaits you! ~~BIRDERS*** See our Winter Birding Migration (Oct ~ April), with 10’s of thousand Sandhill Cranes, other birds and wildlife, that make their Fall ~thur~ Spring homes, in our beautiful Sulphur Springs Valley. We sit ground zero for this event. Currently our 2019/ 2020 dates are open to book. Winter Seasonal Rates ~ $135 Nightly w/ 2 Nt min, $695 Week or $2550 Month stays. Many of the birds fly over our Ranch in the morning & evening and forge for food in our fields. “Wings Over Willcox” is held Jan 15th weekend each year. It is a special treat that we sit ground zero for this event in the Sulphur Springs Valley. Book early~ ~~Road Runners, Gimbal Quals, Hawks, Owls and other birds live here year round and many Hummingbirds & Mexican birds come in the spring thur fall and will winter over if our mild temps are warm enough. ~~We also have 3 Ghost towns and 2 National Parks (seen in distance from entire ranch), plus tons of local history and rich Apache history of Geronimo & Cochise to explore. Visit Geronimo Monument and see where the Apache wars took place many, many, years ago. Tombstone & Bisbee Arizona are close by to visit, as well as our beautiful Kartchner Caverns, just outside of Benson, a must to visit! See my full listing of places to see below. 10 local wineries & Tasting Rooms to enjoy! ~~*HUMMINGBIRD RANCH HOUSE & PROPERTY HAS WiFi INTERNET & GREAT CELL RECEPTION AT RANCH*~~ Our Ranch is very private and fenced and gated with outstanding views in every direction that you look!! 14 Wine Vineyards in our Sulphur Springs Valley~~ As of today, the following big holidays are open to book~~Thanksgiving /Christmas /New Years are available. ~~*SPECIAL $700 WEEK~~SUMMER 2019~~* *$700 WEEK SUMMER DEALS ~ BOOK YOUR SUMMER 2019 DATES NOW~ SPECIAL DEAL~$700 WEEK ($50 off)Reg $750 Week. We are at 4700 foot, cooler then Tucson & Phoenix with constant breezes at the Ranch. Nightly w/ 2 Nt min booked, Week, Month and longer also available. (1 MONTH any 4 weeks even extending into the following month. (No sales tax on month stays) Rates based on 2 people. ~~Our 25 Acre Ranch is a Peaceful Getaway with Stunning & Spectacular Mountain Views and Desert Vistas. Get ready to relax and enjoy our Ranch with a spacious 1700 Sq Ft House that is tastefully decorated, 2 Bedrooms (with Queen Beds in each) & Den with Leather Couch and Reading Lamps, Book Library and CD Player, Vaulted Ceilings throughout home. Wi-Fi, 2 Blu-Ray DVD Players and 160 top DVD’s. 2nd 40″ TV is found in the second bedroom also with Netflix, Blu-Ray DVD Player and Wi-Fi throughout house for your enjoyment. 2 Blu-Ray DVD Players and 160 top DVD’s for your enjoyment. Laundry Room with full size Kenmore Washer & Dryer, 2 Skylights and over sized windows throughout entire home with great mountain & desert vista views every direction you look out. ~~2 Full Bathrooms both with glass walk-in showers, one with a huge Skylight and one with large soaking tub. Preparing meals is a breeze in our fully Equipped Country Kitchen with tons of spices for your dishes, Laundry Room with full size Washer & Dryers, 4 Ceiling Fans, 3 Decks with spectacular 360 Mt Views, plus we have distance views of 2 National Parks and great Desert Vistas to enjoy. ~~ Central Air Conditioning & Heating for your comfort. The Ranch property is “Fully Fenced & Gated” for your total privacy! ~~Astronomers and Stargazers will be amazed at how many stars are seen from our dark skies. Cochise County has a light restriction offering more dark skies. You can even see the Milky Way over our house. ~~2 Bedrooms ~ Well appointed (1 Queen Bed in each room) tastefully decorated with great views of the desert & surrounding mountains. The 2nd BR has a 40″ HD TV w/ Netflix & Blu-Ray Player, Library of Books/Board Games/75 top DVD Movies. ~~2 Beautiful Full Bathrooms ~ The Master Spa Bathroom has a large Soaking Tub, Glass Walk-in Shower & Toilet, Dual Sinks and lots of Cabinets & Spa Towels. The 2nd Bath~ with a huge Skylight, Glass Walk-in Showers with Spa Bath Towels. For you comfort at the Ranch, we have his & hers Bathrobes in each Bedroom closet, to use while staying at Ranch for lounging comfort! ~ ((We love our Ranch and so will you))! ~~The Living Room ~~ Has a Wall Skylight & Large Picture Window. Mexican carved Entertainment Center with a 42″ Smart TV with Netflix unlimited Movies & Series, Blu-Ray DVD Player with 160 ~ Top Hit DVD’s to enjoy & Wi-Fi Internet (throughout house). Great Cell Service with line sight of Ranch. The Den with French Doors off the charming Master BR has a Leather Couch, Reading Lamps, 29 Books on Arizona, Apache Chief’s Cochise & Geronimo, etc. CD Player in Den to relax while on vacation. We even have board games, scrabble & cards to enjoy. Our house is furnished for your comfort! Natural sunlight that streams in the entire home from the over sized windows throughout the house, which allow you to see the desert grassland & mountains better. Yes, the moon & stars too with our extra dark night skies. ~~Lovely Country Kitchen with 3 over sized windows with plenty of natural sunlight~~ Fully Equipped Southwestern Country Kitchen with a Center Island with Breakfast Bar with seating for two, Dish Washer, Microwave, Toaster Oven, plus a beautiful Mexican Carved Dining Table & Chairs in Dining Area, Nature sunlight fills every room of the house. Tons of cooking spices for the recipes. ~~Laundry Room with full size Kenmore Washer & Dryer with artwork. ~~Great for Seniors with a wonderful Graduated Walking Ramp off back deck. Easy walk in showers & large soaking tub. Comfortable Queen size bed in each bedroom to sleep in, to feel great and refreshed in the mornings! Property is fully fenced and gated. Very private to enjoy our desert life! ~~Ranchland Property ~~ 3 Decks with Stunning & Spectacular 360 Mountain Views & Desert Vistas to WOW you! Gas Grill for the steaks & barbeque chicken. The Ranch is fully fenced and gated on 25 acres of beautiful desert grasslands and trees, surrounded by hundreds of open acres of views, to capture the true old west!. Horseback riding at Mr. Ranchers 3 farms away. The desert colors are constantly changing before your eye’s. Peace & quite and solitude is yours to behold! Wildlife everywhere for your enjoyment! Our Roadrunners eat ground beef out of our hand. We have 3 Ghost towns close by to explore and look for ghost & goblins. Tombstone, Bisbee & Douglas are a short drive from our Ranch. So much to see & do including 10 Wine Vineyards close by to enjoy. Full list below. ~~We also have 10 local Wine Vineyards in our valley to enjoy~ Our neighbor Shawn makes the best Goat Cheese & Goat Soap around! Horseback riding at our other neighbors Anne & Charlie. Hiking to your hearts content with 2 National Parks and 3 Ghost Towns to explore. Tombstone & Bisbee are a short drive from the Ranch. See the Butterfield Stage Coach Ruins in Dragoon 20 mins away. See Fort Bowie and Geronimo Surrenders site. This is where Geronimo gave up on his fight and surrendered. The Sulphur Springs Valley was once home to both Cochise & Geronimo and where the Apache Wars took place, besides New Mexico. ~~Stays offered~~((NIGHTLY w/ 3 Night min, Weekly, Month and longer)) Hummingbird Ranch is a ((NON SMOKING RANCH & HOME / NO PETS / NOT RECOMMENDED for CHILDREN under 12 Years) Vacation Rental Ranch in beautiful SE Arizona. Stunning Mountain Views every direction you look! Wait until you see our sunrises and sunsets~ WOW is an understatement!!!! ~~Book our beautiful sunny Ranch with delightful weather with breezes. ~~Hummingbird Ranch Vacation House in SE Arizona w/360 Mt Views, 3 Ghost Towns and 2 National Parks. Tons of local history to explore including rich Apache history of Geronimo & Cochise and their tribes. Welcoming others to experience these breath taking moments for themselves makes us so happy! The Ranch has Wi-Fi, Netflix, Blu-Ray, 2 TV’s, CD Player and great Cell Phone Reception at Ranch. (4 Adults, or children ages 12 and over) 4 people max staying at Ranch. The house is a spacious 1700 SQ Ft Home with over sized windows throughout to bring all of the sunlight into the house you want! 2 Bedrooms, 2 Full Bathrooms, Den with leather couch and reading lamps, Fully equipped Country Kitchen with tons of spices, comfortable Living Room, Laundry Room with full size washer & dryer and best of all 3 outside decks to enjoy the Spectacular Mountain Views! You have to try all of them out. ~~Our Sulphur Springs Valley has earned a reputation as the best winter raptor location in SE Arizona. 10’s of thousand Sandhill Cranes and 14 species of birds of prey are found in the grassy mountain valley. Spring & Summer hummingbirds and many birds from Mexico frequent our Ranch. Bring melons & nectar to the Ranch to attract them. Hummingbird Feeders & Bird Baths are at Ranch for your enjoyment during warmer months. ~~Come & relax with “Stunning & Spectacular 360 Mountain Views & Desert Vistas”, that surround our Ranch, from one of our 3 decks, with views of 2 National Parks in the distance. 3 Ghost Towns and 2 National Parks seen from our entire Ranch. Relax on 1 of 3 decks at the Ranch. Experience clean fresh country mountain air for yourself! ~~Discover the ruins of the Butterfield Stage Coach Lines and visit The Amerind Indian Museum Foundation, close by to explore in S.E. Arizona. For those who enjoy WINE ~ 10 Wine Vineyards are also close by to enjoy. ~~Great for Seniors, Star Gazers, Bird Watchers and Nature Lovers, Hikers and Bikers, Golfers and Mountain Climbers. Welcome home… Extra dark skies at night to Star Gaze to the wee hours in the morning. ~~The Sulphur Springs Valley was once home to 2 famous Apache Chiefs Geronimo & Cochise and their tribes. You can see for yourself where the Apache Wars took place and visit Geronimo’s Surrender Monument. So much history around the Ranch and Tombstone Arizona is a 45 min drive. ~~Hiking, biking, mountain climbing, horseback riding 3 mins away,10 Wineries, 2 National Parks, 3 Ghost Towns, Tombstone & Bisbee are a short 45 min drive. So much more to see with 2 Lakes and 1 River are also close by. So much local history from the Butterfield Stage Coach Ruins, or see where the sad Apache Wars took place and Geronimo’s Surrender Site & Monument. The Amerind Indian Museum in Dragoon 30 mins away has lots of rich Apache history of our Sulphur Springs Valley and surrounding areas to explore. (See listing below of everything to see) Or just relax and watch the beauty and the mountains changing color throughout the day from the Ranch! ~~Hummingbird Ranch Stays offered ~ Nightly w/ 2 NT min, Weekly, Month & longer~~ Star gazing at its finest with extra dark skies at night. 360 beautiful mountain views everywhere you look! Hummingbird Ranch paradise in the gorgeous Sulphur Springs Valley Once home to Cochise & Geronimo. The Ranch sits ground zero for The Winter Birding Migration of 10’s of thousand Sandhill Cranes and other birds and wildlife. ~~The Desert South West is calling you~~ Visit our 3 local Ghost Towns ~ Pearce, Courtland, Gleeson and Tombstone & Bisbee Arizona are a short drive from Ranch. ~14 local Wine Vineyards to enjoy~ 2 National Parks to hike and watch in the distance from our entire Ranch. Tons of history of SE Arizona to explore. Our Ranch is a fenced and gated Private Desert ~ Mountain ~ Birder & Nature Getaway Paradise, in Southeastern Arizona, with Spectacular 360 mountain views to WOW you! 2 lovely National Parks flag opposite sides of Ranch and you can walk our entire Ranch and still have great distant views of both parks. Extra plus ~ these parks views are where our sunrises & sunsets take place. Yes, something else to see in person! In winter, The Chiricahua Mountain Range is often snow topped ~ just beautiful!!!. Tons of local history to explore including rich Apache history of Geronimo & Cochise. Visit Geronimo Surrender Monument just outside of Rodeo NM and see where the Apache Wars took place. Scroll down to see my listing of everything to see around our Ranch. Tombstone is a 45 min drive. 3 Lakes & 1 River for fishing. Welcome to “Hummingbird Ranch Vacation House” surrounded by magnificent panoramic views of the Cochise Stronghold National Forest & The Chiricahua National Monument. Wi-Fi, Netflix, 42″ Smart TV & great Cell Phone service at our Ranch, in Southeastern Arizona”. ~~BIRDERS*** See our Winter Birding Migration going on right now, with 10’s of thousand Sandhill Cranes, other birds and wildlife, that make their Fall ~thru~ Spring home, in our beautiful Sulphur Springs Valley. We sit ground zero for this event. ~~Come & relax with “Stunning & Spectacular 360 Mountain Views & Desert Vistas”, that surround our Ranch, from one of our 3 decks, with views of 2 National Parks in the distance. 3 Ghost Towns & ruins of the Butterfield Stage Coach Lines and visit The Amerind Indian Museum Foundation, close by to explore in S.E. Arizona. For those who enjoy WINE ~ 14 Wine Vineyards are also close by to enjoy. ~~Great for Seniors, Star Gazers, Bird Watchers and Nature Lovers, Hikers and Bikers, Golfers and Mountain Climbers. Welcome home… Extra dark skies at night to Star Gaze to the wee hours in the morning. ~~Our Ranch has the privacy, solitude, peace & quite you are looking for. Many, many local parks like Fort Bowie, Texas Canyon, Overland Butterfield Stage Coach Ruins and historical places to visit. Tons of local Apache history of both Cochise & Geronimo to explore. Cochise is buried in his beloved Stronghold, in The Cochise National Forest 20 mins from our Ranch. You can see 2 National Parks from our entire Ranch. The Chiricahua National Monument (1 hour drive from Ranch) & The Cochise National Forest (20 mins). PLEASE BOOK EARLY FOR WINTER BIRDING MIGRATION & HOLIDAYS. ~~MONTH STAYS (4 Weeks any 28 nights) stays. Any month can extend into the following month. ~ Even if between 2 months. (Except Jan/Feb/March) Our guests loves that option. Plus NO SALES TAX on month stays . ~~Sports minded people will have a ball. Miles and miles of open roads to ride, hike and 2 National Parks close by to explore or mountain climb and hike. Plus 3 Ghost town to explore ~ Pearce, Courtland and Gleeson. Tombstone is a short drive for that Cowboy & Cowgirl in you. Yes, we have it all at the Ranch. Mr. Ranch close by offers horseback riding by the hour or day. Cookout and campfires too! HBR has spectacular 360 Mt Views, 2 HD TV’s 40″ & 46″ with Netflix, Blu-Ray Players with 83 top DVD’s, Wi-Fi and great cell phone reception at Ranch. We have 3 decks to enjoy our beautiful mountain scenery & vistas, 2 National Parks ~ The Cochise Stronghold National Forest & The Chiricahua National Monument, both seen in the distance from our Ranch. Tons of local Apache history of Geronimo & Cochise to explore. Tombstone & Bisbee is a short drive as well as New Mexico & Mexico. Fisherman will enjoy our 3 lakes & 1 river that flows backward into the United States, The San Pedro River. 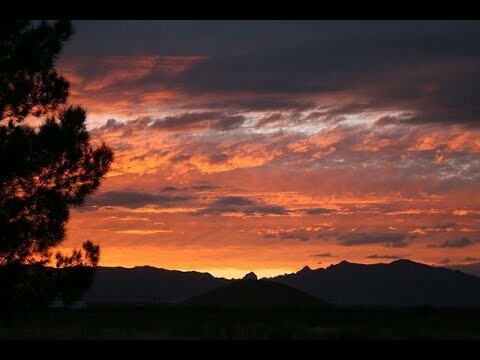 ~~Cochise Stronghold National Forest ~~Chiricahua National Monument ~~Amerind Indian Museum Foundation ~~Overland Butterfield Stage Coach Ruins in Dragoon ~~Fort Bowie ~~Bisbee ~~Kartchner Caverns **A MUST** ~~Winter Birding Migration~ We sit ground zero for the best ‘Winter Birding’ in North America! Sandhill Cranes by the thousands come to our valley. 3 DECKS ~~Whitewater Draw ~ Birding ~~Willcox Playa Ponds ~ Birding ~~3 Ghost Towns Close by. (Pearce, Courtland and Gleeson) ~~Many local old Cemeteries ~~Horseback Riding close by at Mr. Rancher’s ~~Tombstone ~~Overland Butterfield Stage Coach Ruins ~~Pearce Gold Mine ~~10 Local Wine Vineyards & Tasting Rooms to have fun. ~~Winery tours ~~Willcox ~~Benson ~~Sierra Vista~ Buffalo Soldier, Lenner Mammoth Kill Site, Indian Rock Drawings in San Pedro River area & another Ghost town of Charleston. Cross on the hill~ ~~2 Movie Sets ~~Mexico~1 hour drive ~~New Mexico~ 45 min drive ~~Many local mines ~~Beautiful scenery ~~Ruins ~~Geronimo Surrender Site ~~Sulphur Springs Valley for birding, hiking & biking. ~~Mountain Climbing ~~Mountain Biking ~~Hiking ~~Bird watching ~~Star gazing ~~Photography ~~Horseback Riding ~ Rancher 3 Ranches over. ~~Nature Lovers ~~Other Ghost Towns Tombstone, Paradise, San Pedro, Ruby, etc.. See link below: ~~Many Ruins ~~Adventure ~~Away From It All ~~Museums ~~Fly fishing ~~Golf 9 courses in area ~~Fossil Hunting ~~Pre-Historic Animal Remains of Mammoths & Horses ~~Hiking ~~Spelunking ~~Mountain biking ~~Mountain climbing ~~Spelunking ~~Mountaineering ~~Rock Climbing ~~Yoga ~~4 Wheeling ~~Indian Folk lore ~~Antiquing ~~Bird Watching ~~Nature & Wildlife Watching ~~Boating at 3 Lakes close by ~~Scenic Drives ~~Sight Seeing ~~Walking ~~Reptiles ~~Animals ~~Birds ~~Sunbathing ~~Or just sit back and relax at the Ranch in our Arizona Sunshine with a cold drink in hand. ~~(8 Golf Courses)~ *~Shadow Mountain ~ (Pearce) Golf Club Designed by Horizon(Sunsites~Pearce) Course a traditional golf layout, a beautiful setting with Bentgrass, lakes and trees. *~Twin Lakes ~Twin Lakes Golf Club(Willcox) Map A traditional layout with speedy greens-the USGA rated them a 10 on a scale of 1-12. *Play 18 holes by teeing off from a different box on each of the course’s nine holes. *~San Pedro Golf Course ~ (Benson) Championship golf course-a links style course that blends with the surrounding desert. *~Turquoise Hills Family Golf Cente r~ (Benson)Turquoise Hills Family Golf Center (Benson)The desert-style course has recently been upgraded with new vegetation and improved fairways and greens. *~Del Lago Golf Club & Hacienda del Lago ~ (Vail) 14155 E. via Rancho del Lago Vail, Arizona 85641 (Vail) *~Douglas Golf and Social Club ~ (Douglas) Built in 1932 by the WPA, this is one of Arizona’s oldest courses. *~Turquoise Valley Golf and RV Park~ (Naco/Douglas) Map Turquoise Valley, Arizona’s oldest continuously run golf course and home to Arizona’s longest hole-the 747 yard par-6 Rattler. The front nine has a links style design, while the back nine offers desert golf. *~Mountain View Golf Course ~ (Fort Huachuca)A links-style course designed by the Army Corps of Engineers, the facility is open to civilians. Notes: ~~Great for Seniors with a graduated walking ramp off back deck. 2 Glass walk~in showers, 1 with 2 seats. Young at heart folks just love the peace and quite and seeing the birds and animals all around our Ranch..! ~~Birdwatchers & Stargazers & Nature Lovers will be enchanted with our property. We sit ground zero for the best Winter Birding Migration in North America. They come to our grasslands during the winter and stay for months. ~~Extra dark skies with a light restriction to keep it that way. Billions of stars are seen from house. The Milky Way is above the house at night. So much to see and do in Cochise County. ~~We have 9 local Wine Vineyards to enjoy. Tombstone is a short drive. Ghost Towns and Gold Mines close by to explore. 3 Golf courses close by to play & enjoy. ~~We are known for the “Winter Birding Migration” with amazing views! Sandhill Cranes, Eagles, Owls, Hawks, Hummingbirds, Sparrows, Roadrunners, Gimbal Quail and many, many more call our valley home. Jack Rabbits and Coyote will surely put a smile on your face. ~~We live where 2 famous Indian Tribal Chiefs made their homes, Geronimo and Cochise. Our property has great views of both mountain areas where they made their homes. Left side of our vacation house looks at the Cochise Stronghold National Forest ~ Rockefeller Dome, a beautiful rugged rock outfacing, that you can see clear over to Sierra Vista and I-10. The right side of our house, the Chiricahua National Monument. There is a top of the mountain that has Geronimo face carved on top. Very neat to see in person. Both famous for hiking. ~~The Sulphur Springs Valley is named from the special springs that the Indians used and soon the army and people far and wide eventually used too. Many of our mountains still have the grinding bowls and arrowheads found today. These areas are fenced off to protect what is left. The Cochise Stronghold Nation Forest 20 mins & The Chiricahua National Monument 45 mins, Fort Bowie1 HR with tons of great hiking trails. Birders/ Hikers/ Stargazers with 8\' Nexdome Observatory(No telescope or equipment/ guests brings their own to Ranch) Nature & Sun Lovers.